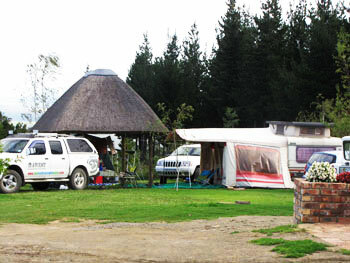 Trekker's Lounge is our indoor braai and entertainment facility and is free for use to all our guests. A wonderful place to meet fellow campers. Take in the majestic Hogsback mountains from the deck while having a sundowner! There is a massive braai area, pool table and dartboard. Behind the bar is a wash up area and fridge for everyone’s use. We do not sell alcohol but you are welcome to bring your own drinks. Hogsback’s bottle store is open Monday to Friday 8am to 6pm and Saturdays until 2PM. Firewood is available on request.